Testing the New Nation 1820-1877. The Civil War 1861-1865 Slavery as a major issue of the war. The “peculiar institution” Slavery as a major issue of. 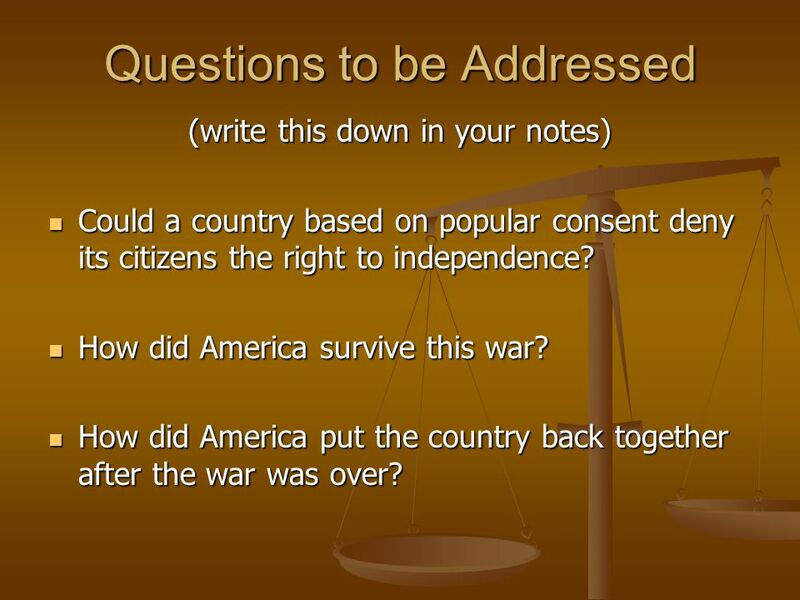 8 Questions to be Addressed (write this down in your notes) Could a country based on popular consent deny its citizens the right to independence? Could a country based on popular consent deny its citizens the right to independence? How did America survive this war? How did America survive this war? How did America put the country back together after the war was over? How did America put the country back together after the war was over? 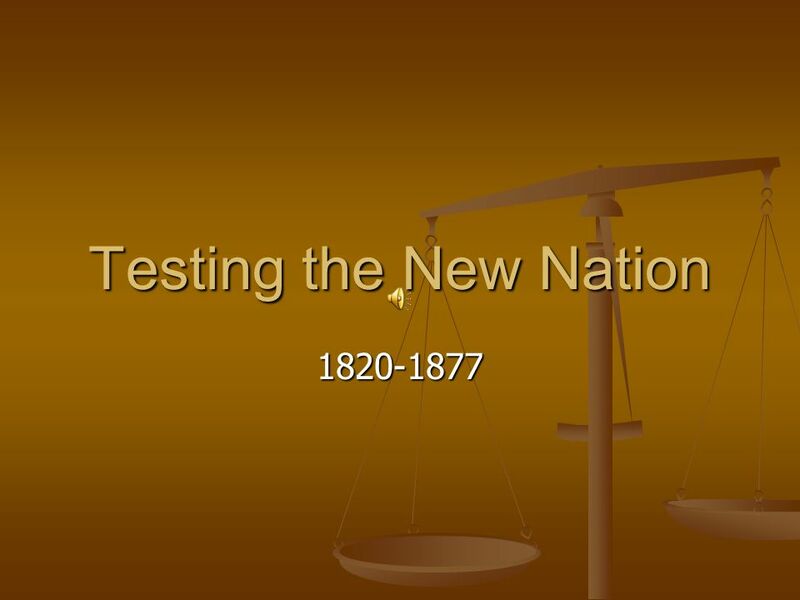 Download ppt "Testing the New Nation 1820-1877. 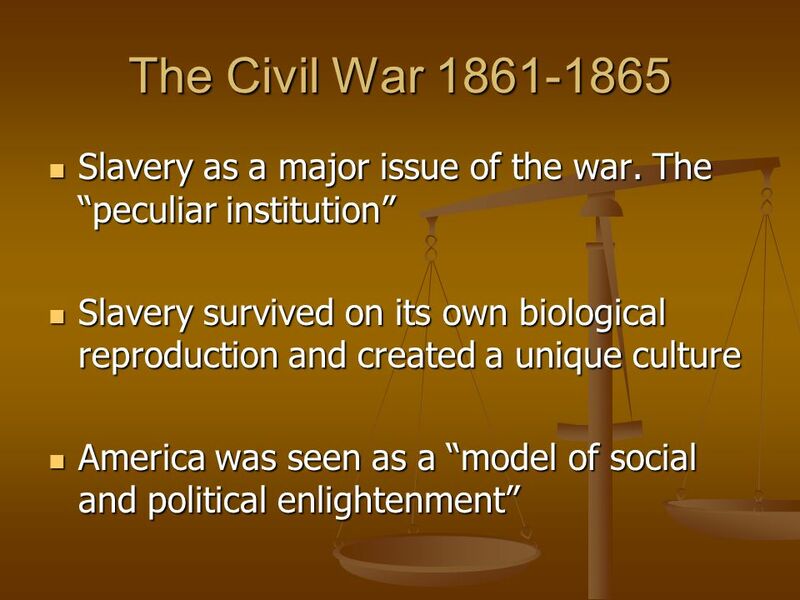 The Civil War 1861-1865 Slavery as a major issue of the war. The “peculiar institution” Slavery as a major issue of." US History EOC Review Flashcards for Guaranteed Vocabulary on the Final Exam. Prelude to a War - North and South slowly begin to argue the issue of slavery 1. Most white northerners felt it violated their religious ideals 2. Most. TIC TAC KNOW Pre -Civil War Grade 4: Tennessee Welcome to TicTac Town. Leading to a Civil War. 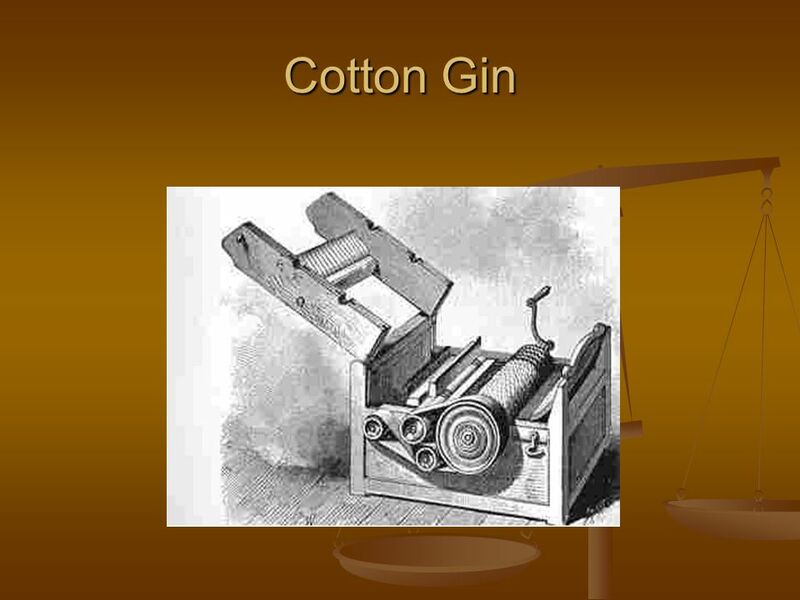 Sectionalism What issues divided the country and the legislation that tried to keep the country together. 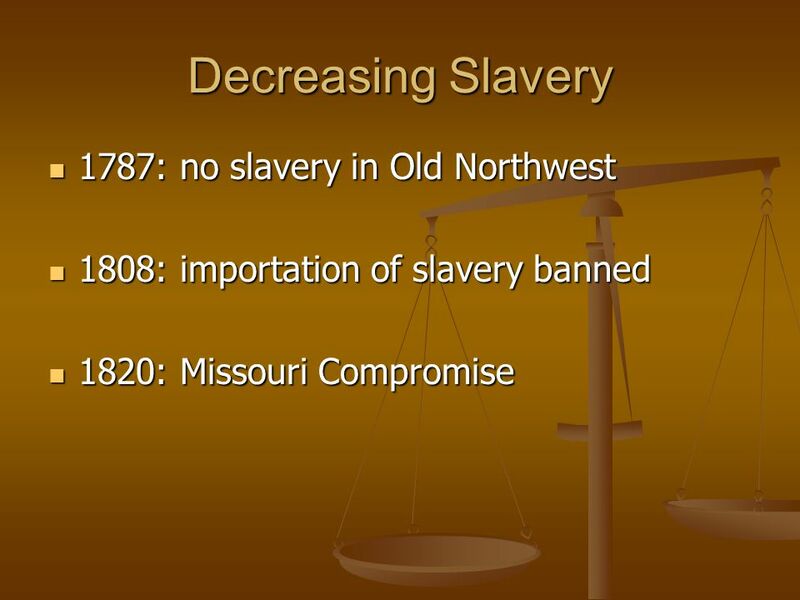 To prevent the spread of slavery in the West, the Wilmot Proviso was added to a bill in Congress. 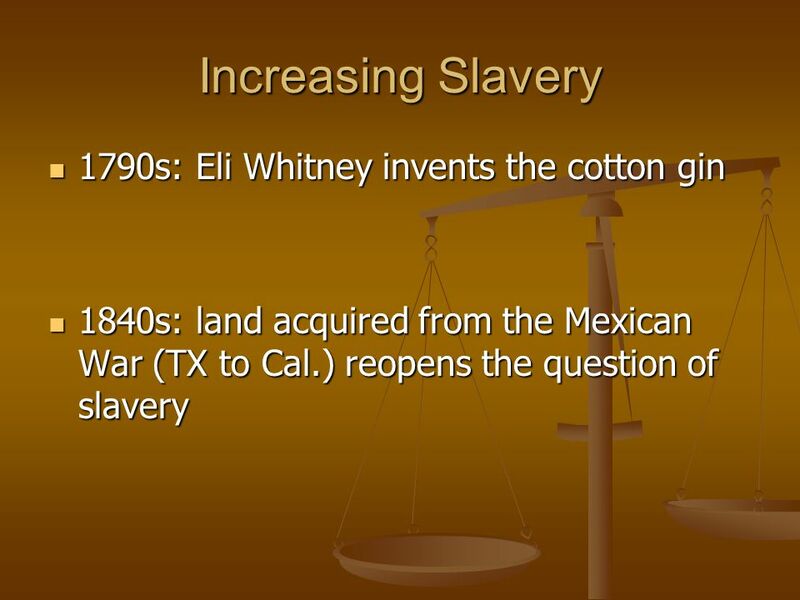 The question of slavery in the West arose as a major. The Road to the American Civil War Early attempts at containing slavery A Series of Compromises Uncle Tom’s Cabin and Incidents of Suspicions. Ch 14 Review Use your whiteboard to answer the following questions about the causes of the Civil War. 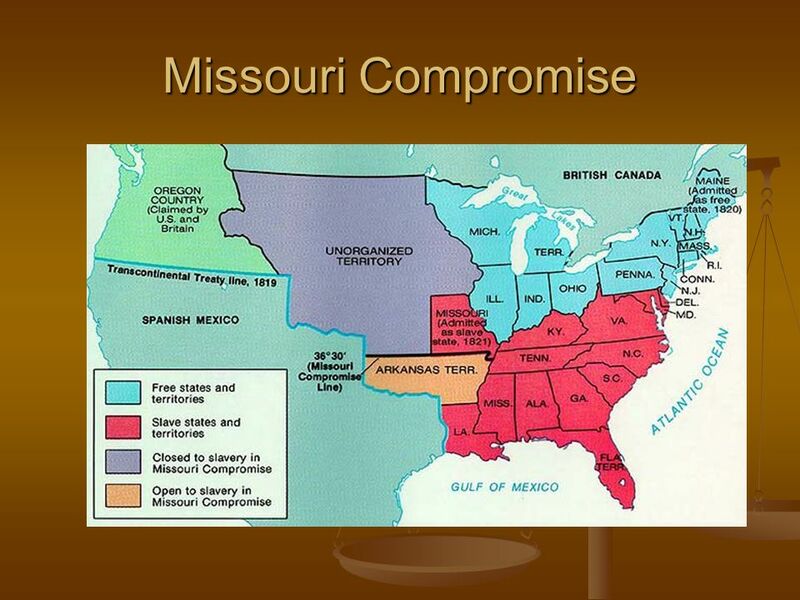  11 free states  11 slave states  1817 Missouri requests to be part of the Union  Debate over the Territory of Missouri  1819 Maine requests. 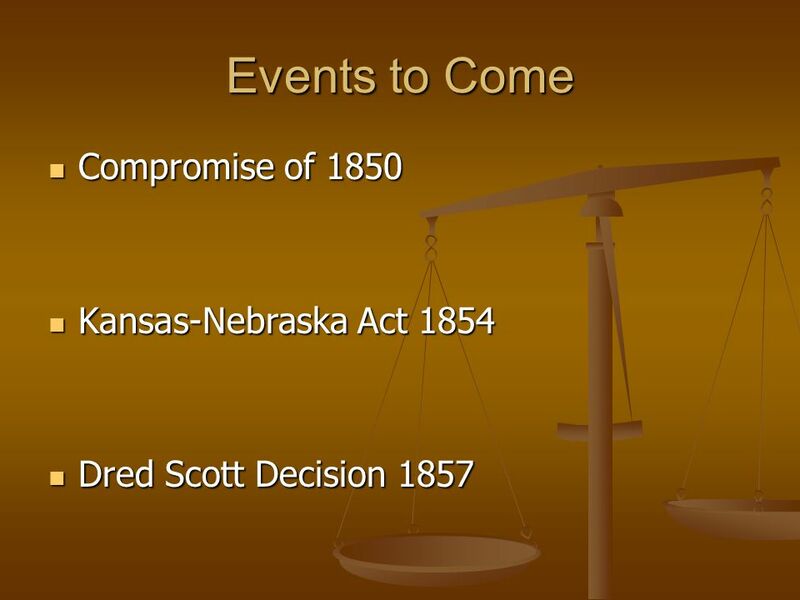 EQ: WHAT ISSUES LEAD TO THE DECISION FOR SOUTHERN STATES TO SECEDE FROM THE UNION? STANDARD SSE2a.